The Atlantic hurricane season, June 1 to November 30. is the period in a year when hurricanes usually form in the Atlantic Ocean. Tropical waves are forecast to emerge off the coast of western Africa, potentially spinning up into tropical cyclones as they track westward across the tropical Atlantic Ocean, known as the Main Development Region (MDR) for Atlantic hurricanes. The National Hurricane Center said on Tuesday that tropical waves are forecast to emerge off the coast of western Africa, potentially spinning up into tropical cyclones as they track westward across the tropical Atlantic Ocean, known as the Main Development Region (MDR) for Atlantic hurricanes. such tropical wave moving off the African coast by Thursday bears watching for some development in the eastern Atlantic over the weekend. 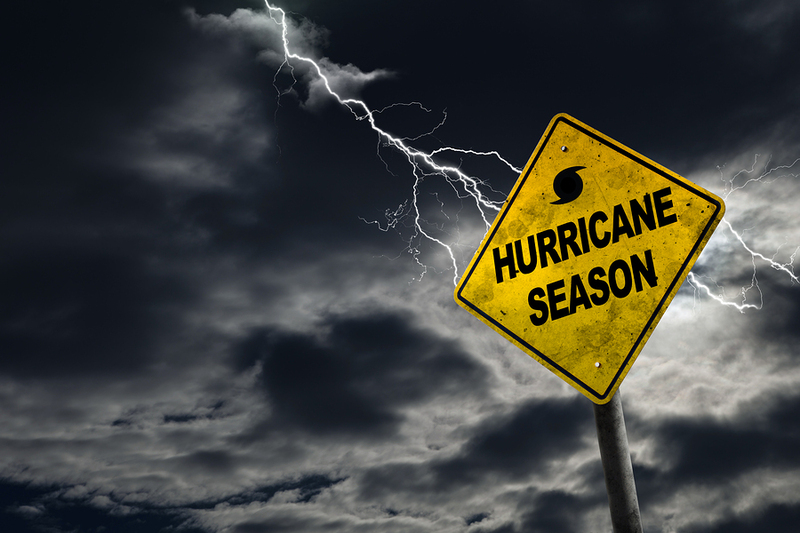 Though NOAA forecasts below-normal Atlantic hurricane season thanks to El Niño, it is still imperative that all people in the area effected by hurricanes stay prepared. Preparedness for hurricanes is similar to earthquake preparedness. Make a plan, review and practice it with your family. Have survival kits and supplies stored anywhere you spend time. Having a kit at work, school, as well as having one stashed in your car is advised. In the western United States, wildfires are burning hotter and more intensely than ever because of climate change, and the situation is made worse by the explosion of development in fire-prone areas and past firefighting decisions. Seven of the most destructive wildfires in California history have occurred just in the past 10 months. Fires have forced thousands to evacuate and destroyed hundreds of homes. Scientists say they're even creating their own weather systems, making winds more erratic and the conditions too dangerous for firefighters to even try to protect homes. These are called megafires and they are becoming more and more common. The fires are fueled by ongoing drought, extremely low humidity and temperatures running well above 100 for long stretches. In the past couple of decades, there has been an explosion of development in high-fire-risk areas. There's a term for this in the firefighting world: the WUI, pronounced "wooey," short for wildland urban interface. In states such as California, Arizona and Washington, cabins, vacation homes and increasingly whole towns and even cities are spreading into forests and wildlands. There are no signs of this trend of building in the WUI slowing down, even as climate change is predicted to bring longer and hotter fire seasons. The number of homes burned from each bad fire to the next has gone up, sometimes in alarming fashion. Last year, seven wildfires in Northern California's wine country destroyed more than 8,800 homes, a record in California. Several of these blazes started as wildland fires and burned into established urban areas because of the dangerous conditions before anyone could even try to contain them.